Great location, great management and maintenance staff, fun community events and just a great feel overall. Would highly recommend Ellison on Broad! Very respectful and considerate. Staff is very aware of the residents’ needs. Well kept and organized. Even though it’s a little dense, with the amount of apartments in the building, it does not feel that way. The best apartments. Perfect location, not too close to downtown but still walking distance. I always feel safe. Apartments are beautiful! So happy to be a resident at Ellison on Broad. Thank you for the wonderful review! We are happy that you have enjoyed your apartment here at Ellison on Broad! Please let us know if there is anything that our team can do to make your experience in Greenville and at Ellison even more enjoyable! Thank you for the wonderful review! We are happy that you have enjoyed your apartment here at Ellison on Broad so far! Please let us know if there is anything that our team can do to make your experience in Greenville and at Ellison even more enjoyable! Right in the heart of downtown and with more amenities than I could ever dream of I am grateful for this clean quiet community that is home. So far no complaints. I only just signed my lease this past weekend and will move in the first of March. But so far I have only experienced great things. Marissa at the leasing office is a total winner! Thank you for the wonderful review! We are happy that you have enjoyed your experience here at Ellison on Broad so far! Please let us know if there is anything that our team can do to make your experience in Greenville and at Ellison even more enjoyable! Love my apartment. The location is perfect- right in downtown Greenville, quick walk to restaurants and shopping. The apartment community is very nice. We are happy that you have enjoyed your apartment here at Ellison on Broad so far! Please let us know if there is anything that our team can do to make your experience in Greenville and at Ellison even more enjoyable! Thank you so much for your suggestion! We are looking into pet turf for the community, and hope that we can make the change in the near future! We agree, this will help make the pet park much better! The staff is so friendly and the property is well-kept. We love living here and feel so welcomed by the community. The trim, finishes, and appliances are top-quality so it has made adapting from being homeowners back to renters again a comfortable switch. Staff is amazing! Always willing to go out of their way to help you. Residents are extremely friendly. Amenities are awesome! I love how dog friendly the building is. The location is close to everything! Ellison is a great place to live. There’s a wide variety of people who live here, and it feels like there’s a lot of similar people around. Great location as well. My husband and I love the community. The people here are so nice. The place is beautifully done and the staff are very helpful and nice. We are looking forward to the mixers the staff puts on, so we can get to know more of our neighbors. Still the best place to live in downtown Greenville, by far. Convenient, comfortable, and exciting. Everything you could ask for and the staff are always friendly. Thank you for the wonderful review! We are happy that you have enjoyed your apartment here at Ellison on Broad so far! Please let us know if there is anything that our team can do to make your experience even more enjoyable! I love living at Ellison! The facility and amenities are fantastic, and the staff really make the place even more amazing. They help create community, plan good events, and take the time to get to know you. I appreciate all they do! LOVE it here! Staff is amazing, they are super friendly and will help you with whatever you need in a professional and timely matter. Best place to live in Greenville! We have lived her for 6 months - the management and maintenance team go out of their way to help all residents. The amenities are amazing and it is a great place to live! The staff makes Ellison a great place to live. You can tell they genuinely enjoy the residents and are extremely helpful no matter the question or request. Just moved in and I don’t remember being so excited to move into an apt! Great location and close to everything in walking distance, great staff and just a great feel overall. Thank you for the wonderful review! We are happy that you have enjoyed your apartment here so far at Ellison on Broad! Please let us know if there is anything that our team can do to make your experience even more enjoyable! Ellison on Broad is a great place to come home to each day. Never a problem finding a park in the floor level garage, easy to access mail room, coffee and hot chocolate in the lobby, up-to-date roomy apartment, all make EOB the place I love to come back to. My husband and I reviewed 11 apartments in downtown Greenville and elected to rent from Ellison on Broad. It’s new, clean, centrally located, nice amenities, parking garage, the bathrooms were a good size and we liked the kitchen with the white cabinets. Ohter complexes had smaller units, less desirable location, dark kitchens, smaller bathrooms for one bedrooms, not as many amenities. This is a fabulous place to live. The leasing staff and maintenance team are absolutely the best. Social events each month are a great opportunity to meet people. As an added advantage, it’s only minutes walk away from downtown Greenville. I’d highly recommend Ellison on Broad to anyone interested in renting in Greenville. Thank you for the wonderful review! 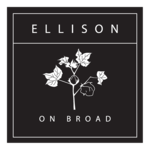 We are happy that you have enjoyed your apartment and community events here at Ellison on Broad so far! Please let us know if there is anything that our team can do to make your experience even more enjoyable! Everyone knew my name before I even signed a lease. They are all extremely nice and actually care about your experience. The residents are all very supportive. Thank you for the wonderful review! We are happy that you have enjoyed your experience here at Ellison on Broad so far! Please let us know if there is anything that our team can do to make your experience even more enjoyable! What a great place to call home! Friendly staffs, friendly residents and a great location downtown Greenville with walking distance to so many places and on top of that, direct access to the swamp rabbit. Just loving it.